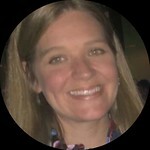 Marci Regan Dallas has a strong background in arts leadership, fundraising, and financial management. Marci holds an MBA and an MA in Art History. She is a graduate of Christie's Art and Business program as well as the Leadership Institute for Nonprofit Executives at Rice University's Center for Philanthropy and Nonprofit Leadership. She has previously held administrative, curatorial and development roles in organizations such as The Museum of Modern Art (New York) and Holocaust Museum Houston. She is adjunct faculty at the University of Houston MA in Arts Leadership program and an active community volunteer, having served on committees for the Association of Fundraising Professionals, Planned Giving Council of Houston, United Way, and the American Alliance of Museums. Angela Carranza first joined the Fresh Arts (formerly Spacetaker) team in 2011 as an intern and has served as the Programs Manager since 2015. She holds a BA in Art History with a minor in Studio Arts from the University of Houston. With a strong background in project management, she has previously held roles as a decorative painter, model home decorator, and design consultant. As Project Director for a local design firm, she focused on art-centric, creative styling solutions for high-end interiors while also providing custom furniture design, event planning, and fine art consultation and inventory management for private art collectors. In her role at Fresh Arts, Angela leverages her past business and creative experiences to provide career-building support to emerging local artists. She is also an active community outreach volunteer for Barrio Dogs, Inc. and currently serves on the Mayor's Millennial Advisory Board for the City of Houston. A lover of art adventures, hot dogs, and Tex Mex, she constantly redecorates the East End bungalow she shares with two dogs, a cat, and a baby. Jessica Dodington, a Minnesota native, has over a decade of experience in the non-profit art world. She holds an MA in Arts Leadership from the University of Houston and a BFA in Dance and a BA in Theatre from Gustavus Adolphus College. She has previously worked in marketing and development in the Houston area at Aurora Picture Show and Stages Repertory Theatre. Additionally, Jessica has worked with Jewett Consulting and at The City of Houston Mayor’s Office of Culture Affairs. 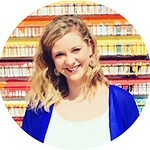 She joined the Fresh Arts team as Fiscal Sponsorship Manager in 2018 and is excited to support Houston artists and organizations in reaching their fundraising goals. In compliment to her work in the arts, Jessica is a Registered Yoga Teacher through Yoga Alliance and has taught yoga for the past 10 years, currently teaching at Equinox River Oaks. Reyes Ramirez is a writer, educator, & Houstonian. He received a BA in political science and creative writing from the University of Houston and an MFA in fiction from Texas State University. 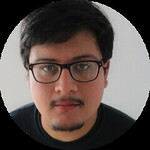 Reyes has worked and taught with organizations, committees, and schools all over Houston, such as Writers in the Schools, Inprint, BakerRipley, Tintero Projects, Houston Community College, etc., to share his passion for community building, advocacy for marginalized groups, and the arts. Reyes: won the 2017 Blue Mesa Review Nonfiction Contest, 2014 riverSedge Poetry Prize, and has been a finalist for others; received grants from the Idea Fund and Houston Arts Alliance; served on the City of Houston’s Poet Laureate Selection Committee, Texas Commission on the Arts’s Arts Create Grant panel, and National Association of Chicano/Chicana Studies Fiction Awards committee, amongst others; and has poems, stories, essays, and reviews in Deep Red Press, The Latinx Archive, Glass: A Journal of Poetry, Texas Review, TRACK//FOUR, FIVE:2:ONE Magazine, Houston Noir, Gulf Coast Journal, Origins Journal, The Acentos Review, Cimarron Review, and elsewhere. He hopes to: see you at one of his readings; hear what you have to say in creating a stronger artist community; and/or talk about poetry, pro wrestling, craft beer, and/or turtles. Micah is a Houston-area native who has been exploring the city since graduating from Texas A&M University. While pursuing a Bachelor of Science in Economics and a minor in Business Administration, Micah served on the Opera and Performing Arts Society Student Committee at TAMU, an experience that ignited her passion for the arts. After spending 3 years primarily in the oil and gas industry, Micah aspired to make creativity and her career one and the same. As such, she joined the Fresh Arts team as a Special Events Intern during Summer 2017. Her first projects included the #TexasArtistsStrong pop-up exhibition fundraiser for Hurricane Harvey relief, the 2017 Winter Holiday Art Market and the 2018 Crystal Ball Gala. In her current role, Micah now manages the organization's finances and leverages her experience in research and passion for problem-solving to conduct special projects. Daral Moore-Washington first became familiar with Fresh Arts after one of her professors, Dr, Mandell, recommended looking into the nonprofit. She was given the opportunity to become their Arts Resource Intern in Spring 2017. Daral has helped with Fresh Arts annual gala twice, and frequently volunteers and supports her peers in any art event or exhibition she can get to. Daral now has her Bachelor’s degree in Fine Arts with minors in Art Administration, Business Management, and Drama. 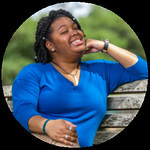 She hopes to continue her education by obtaining a Master’s in Art Administration/Management and build a career helping others in the art community. Working as Fresh Arts Winter Holiday Art Market (WHAM) Special Events Intern, Daral is hoping to not only learn as much as possible but to contribute to the organization and the arts community. As Fresh Arts newest addition, Melissa joined the team as a graphic design intern following a referral from a college professor. She was born in Monterrey, Mexico and migrated to Houston, Texas at nine years old. She has been greatly influenced by these cities' culture and art communities, as well as by her family's involvement in the music and theater arts. She is currently working towards an Associate of Arts specializing in Graphic Design from the Houston Community College. 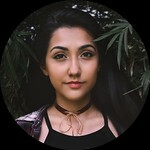 Excited about the future of cultural and urban art in Houston, Melissa hopes to find a role to play in its successes and looks forward to the projects she will contribute to during her semester at Fresh Arts. Interested in employment or internship opportunities at Fresh Arts? Check HERE for current openings.